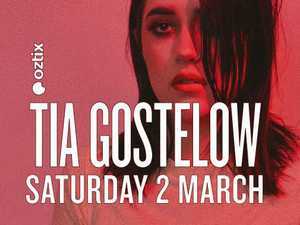 Tia Gostelow emerged at just 16 years old when she wrote “State Of Art” in 2015. Since a few years have passed, the 19 year old indie rock star has achieved more than she could have imagined. With the support of Triple J, Tia has been lucky enough to have six high rotation songs added from her recently released debut album Thick Skin, produced by Konstantin Kersting (The Belligerents) alongside Album Feature of the Week, and Like a Version, and when we say lucky we really mean well deserved. Not one to shy away from hard work or discipline to achieve her goals - Tia has reached a number of childhood dreams in such a short period of time that proves hard work can go a long way.